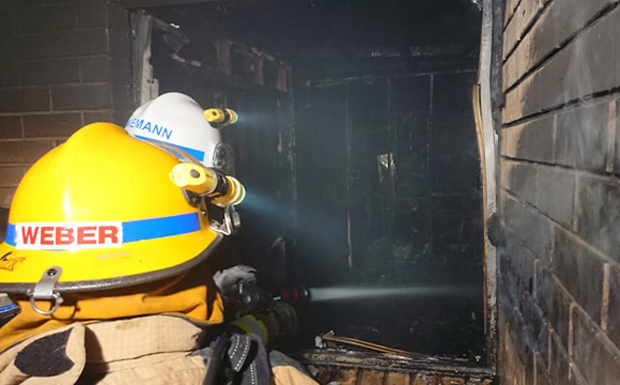 There were eight people in the Cobbo Street house when the fire broke out about 7:00pm, but fortunately everyone escaped unhurt thanks to smoke detectors. However, all the family’s possessions were lost and a car was also badly damaged. The Murgon Mustangs Rugby League Club has opened an appeal to support Barry Fisher and his family. Barry is well-known in both the South Burnett rugby league and cricketing communities, and in fact, was awarded a trophy for Best Bowling Figures at the South Burnett Cricket Association’s trophy presentations at the weekend. He is also a familiar face at Kingaroy Hospital where he works, providing great support to both Indigenous and non-Indigenous patients. OMG, Uncle Barry was there for my son and myself when we lived in Kingaroy. We became very good friends and he was always checking in on my son while he was on dialysis. So I will be donating to this appeal.